Facebook has faced a huge backlash in Thailand in recent days. With the government hoping to shut it down if they didn't comply with removing defamatory post about Thai Royalty. Despite the backlash Facebook is still working in Thailand as of the 17th May 2017. Tispa is Thailand's internet provider, which means at any time they can block any website which they deem unsafe for public viewing. There are many reasons Facebook is disliked in Thailand. Facebook is seen as a platform to share local news. Its against the law to say anything derogatory about the Thai Monachy, but this week there was a viral video being spread around on the social media platform about a member of the Thai Royal Family, walking around a shopping mall. We can't say too much more as we don't want to be cen-sored in Thailand. Angelina Jolie is currently in Cambodia. Showing off all of her glorious tattoo's she has over 40 of them now. She is making her movie in titled 'First They Killed My Father'. No doubt this Khmer Rouge Film will be a massive hit once it get's released in 2017. She just loves Asia. Earlier this week Angelina Jolie's and Brad Pitt's son was apparently involved in a jet-ski accident whilst holidaying in Phuket. US Weekly had reported that he had broken his leg. But local emergency services and jet-ski operators were not able to confirm the story from US weekly. Where's the proof? No photo's were provided - and US Weekly stated a source had said that he was okay. '[Pak} ...is on the mend and hobbling around' stated the source. And then another publication People.com has now reported that 12 year old Pak had not broken his leg. Just injured it. Again from another source. Jet ski operators in Phuket and Thailand are always under scrutiny - as the incident involving 2 Chinese tourists, not so long ago, in Patong involved jet-ski's. Not surprisingly the Chinese government will ban Chinese tourists from visiting places like Patong and Phuket due to the low safety standards, and numbers of deaths in the past few years. The jet ski operators have released a short statement saying that they weren't involved in the accident in regards to Angelina Jolie's son. 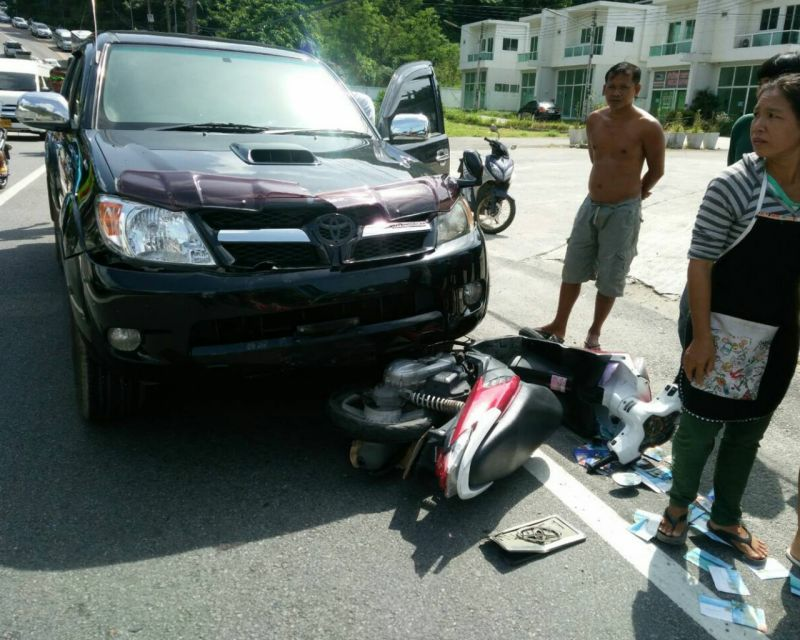 “We are sure that the two Chinese tourists crashing their rental jet-skis in Patong is the only recent accident involving our vehicles. 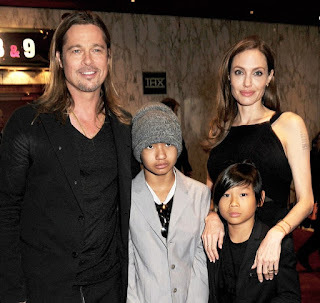 I am confident that our members were not involved in an incident where Angelina Jolie’s son broke his leg,” said Nucha Petchvimol, president of the Phuket Jet-Ski Club. Unlike motorbikes, Jet-ski operators aren't required licences in Thailand. 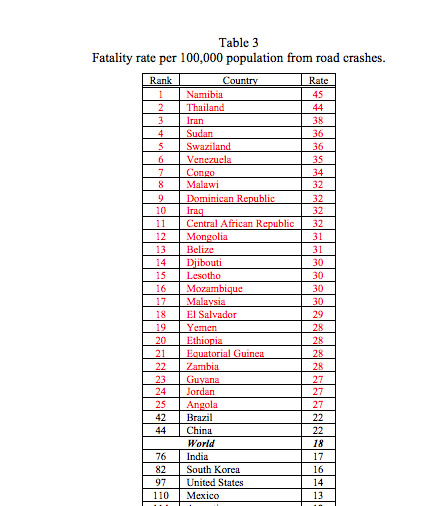 This could leave deprimental effects on accident statistics. 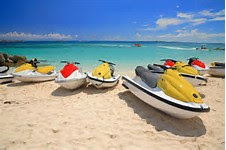 The owners of the Jet-Ski's are required to have a Thai Captain License, and insurance. There wasn't any record of this incident with the Phuket Marine Police. Where Can I See The Long Neck Ladies in Thailand? Where Can I see The Long Neck Ladies? The Long Neck Ladies, or Karen People, are a very important ethnic group reside in North Thailand. In a small place called near Chang Mai called Mai Hong Son, near Pai. Why Do They Wear These Brass Rings Around Their Neck? There are many reasons for these women to wear the brass rings around the neck - one of the most bizarre reasons was that it was there to protect them from tigers eating them. What VPN Do I Need in 2016? What VPN Do I Need In Asia (China) in 2016? Thailand, China, or Australia access the world with a VPN. VPN is an acronym for Virtual Private Network. Having a VPN allows you not only to surf the net privately but also freely in countries that block certain social media websites like Facebook or Youtube. You can buy a VPN or you can use a free one. The latter being the worse. 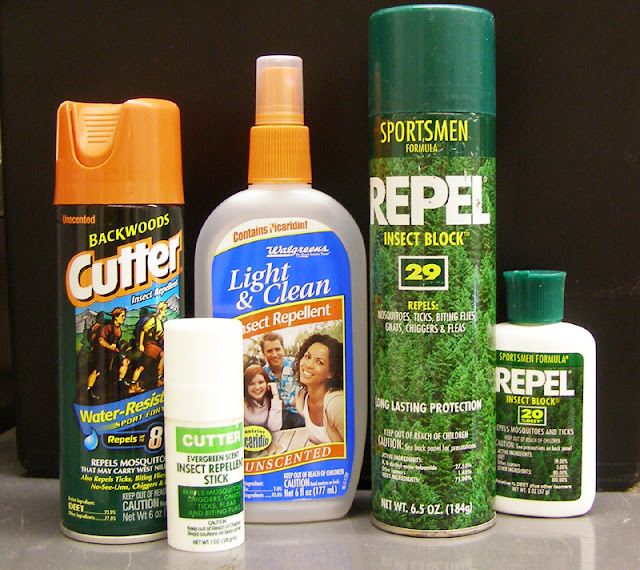 Used for travel or when you reside in a country like Thailand, or China. Why Do I Need A VPN In Asia Or At Home? 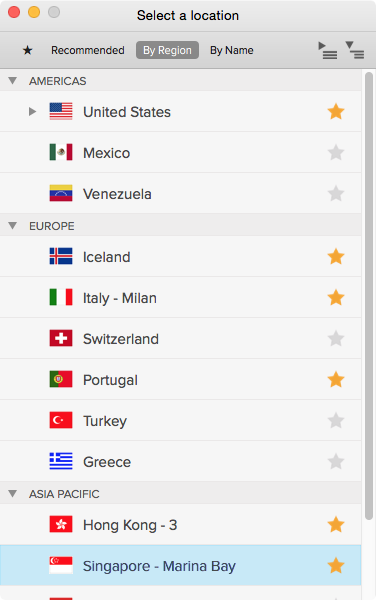 You can use a VPN in a western country to keep all of your site searches safe and more private (safety and privacy depends on your providers package). It can also mask your location - keep you hidden if you don't want to be found. VPNs in countries such as America, England, and Australia - are appropriate for businesses. A worker can connect back to their offices intranet. Doing so allows workers to keep up to date with whats happening at the office. An individual in a western country such as Australia, might want to watch some TV that's only available in America (example) - so they can use a VPN to connect to a proxy server in the US. But most TV shows are available on Youtube nowadays so proxy servers are not used as much. You can use VPN to get onto your favorite social media sites such as Facebook, Youtube, Pinterest, Daily Motion. The list goes on, and on. Because some countries don't like you using social media, the block it out, so it's always a good idea to have a VPN. Other alternatives for watching TV online and on the move is the Amazon Fire TV Stick . This is a new product and is a hot seller at the moment. You can get onto websites such as Dailymotion and Youtube. Getting a free Vpn through a simple online search is a bad idea. They are free, but are often less secure and open to more hacking from internet warriors. Free VPNs are also very very slow, so if your watching TV online, or you are updating a Twitter account the speed of your webpages will not be significant. However if you plan to do something small that uses less MB's then a free VPN could be the way forwards. The speed of a VPN varies depending on what network you are connecting through and what county you are residing in. For example if you are in Asia, networks there are generally slower than networks in the west. How Can I Buy A VPN To Use In Asia? If is often recommended to buy a VPN in your own country, as some VPN seller websites have been blocked. A simple google search for 'ExpressVPN' will do the trick. There you will find a good VPN service that is cheap and affordable. VPN packages are available either as monthly plans, like Pay As You Go, or you can get a yearly plan. Yearly plans are often the best packages as they can work out a lot cheaper than a monthly agreement..
What VPN Should I Use In Asia? Some Asian countries block outside websites, such as China (middle Kingdom). So a lot of people will download a VPN so they can talk to their friends on facebook or whatsapp. There are many great VPNs out there. The one that I use is called ExpressVPN. 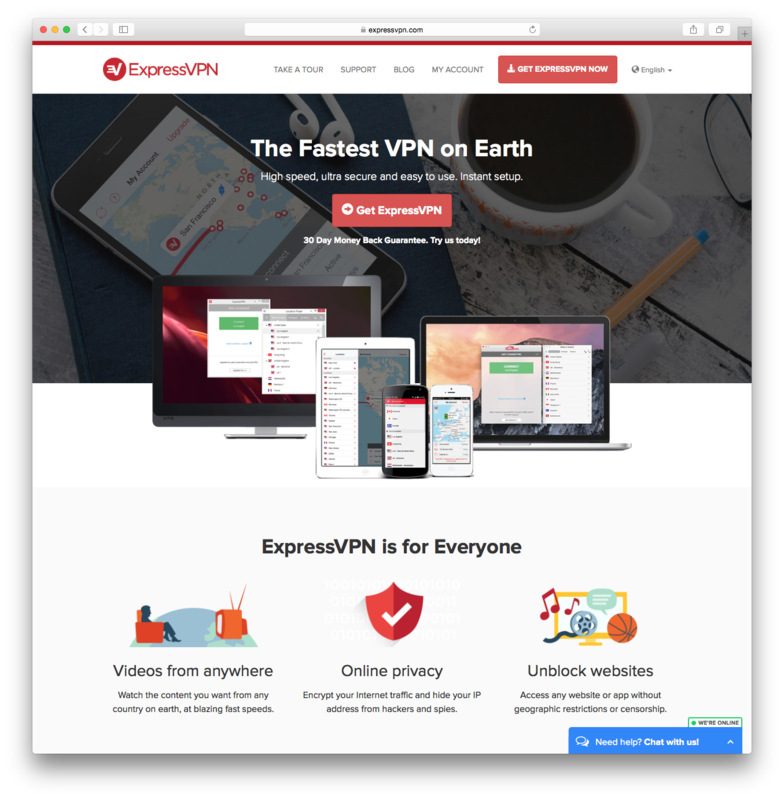 ExpressVPN is very affordable, and makes my life a lot easier. I've been using it for 2 years now. 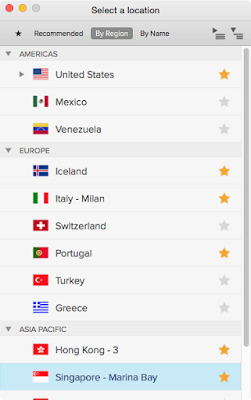 It has a great user interface, and for example if one server is down, you can easily navigate and find another server, by clicking on another country in the country tab. As you can see with the image on the left, ExpressVPN is so accessible and easy to navigate. If I have had any problems with the product, the company has been easy to contact through IM on their website, and resolved my problems in a matter of minutes. Customers are able to gain access though ExpressVPN throughout the world. They now have over 100 servers located in some of the worlds biggest cities. Unlike many other VPNs, they do not log your browsing activities keeping your surfing and searches private. They are so confident with their services that they offer customers a 30-day money back guarantee. Help is available through instant chat. Choose to pay monthly or yearly. With automatic/manual payment planner. Can use it on your tablet and home computer. Samui, Thailand. This week two Burmese migrants were trialed and found guilty of the deaths of two British Citizens; Hannah Witheridge, 23 years old from Norfolk and David Miller from Jersey. The 2 accused murderers Zaw Lin and Wei Phyo were trialed in a Thai Court in Koh Samui - they were accused of the killings which happened on the island of Koh Tao in September 2014. The defendants had previously made a confession that they had been tortured, by the hands of the police, into a confession but now they retract that statement. 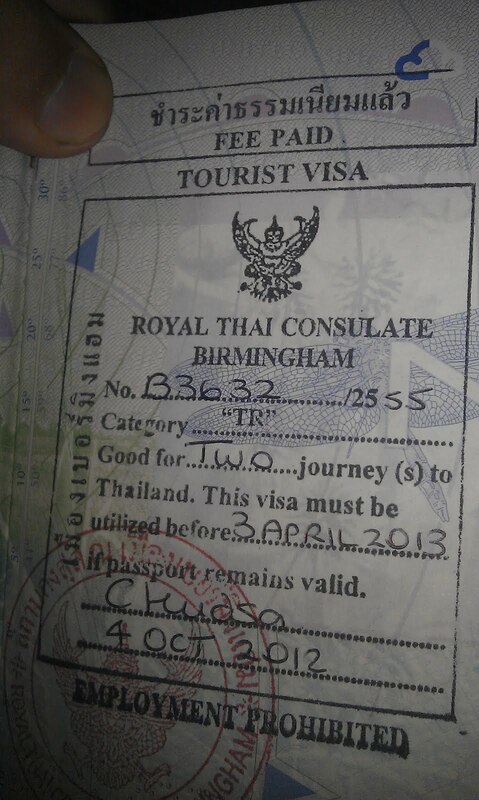 What VISA Requirements Are Needed To Immigrate To Thailand? If you ever fancied going solo and living your life to the maximum, then why not go and live in Thailand for some time? It's fun, friendly, and there is plenty to do. Buy a house, buy a car, and whatever the ex misses/husband told you that you could not. Moving to Thailand is a huge option, but there are certain requirements that you need to pass to immigrate and retire in Thailand, Asia. It has been reported that 21 year old Jordan Jacobs from Lyneham, Wiltshire, England - has gone missing with a Thai man in his late 20's. 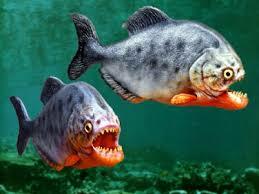 Hi, we are all booked for our trip to Bangkok, and Koh Samui in August. This year there has been a lot of dengue fever outbreaks and there is much talk about dengue fever being the real concern and i have to say i am feeling really panicked about our trip now. Can a voice of reason try and set my mind at rest? Thailand air-lines have not been banned from flying in the European skies. 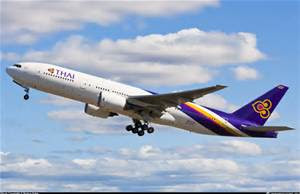 The European Aviation Safety Agency agreed last Thursday that Thai Airlines can continue working. There was speculation that they could be banned - speculation ey! What will happen with the EASA? The EASA will continue to keep an eye on Thailand's aircrafts and flight companies. And if anything serious happens which amounts to misconduct, then they will be banned. 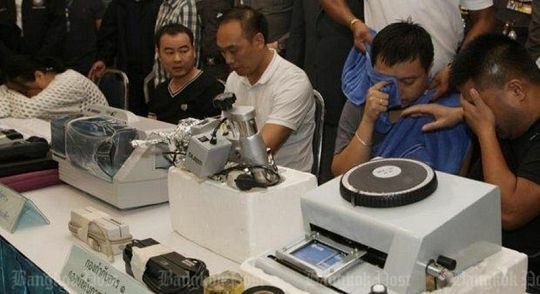 They have also stated that they are available to help the Thai Airlines if they need to. An agreement was signed on Wednesday that will have the EASA assist Thailand in implementing methods to improve air safety in the country. What effects would a ban have? At this moment of time over a quarter of Thai Airlines money (revenue) comes from Europe. With many many travelers going to Thailand via these airlines. Therefore, the European market is very important in Thailand. And it is stated that nearly 25 per cent of Europe's tourists fly with Thai Airlines. 1. There are several airlines that run from London, Heathrow to Bangkok, Thailand these both of the national airlines include: Thai Airways and Mjets. 2. You can get a visa-on-arrival < This constantly changing so check before you leave. 3. The non-stop flight time from London to Bangkok is 11.5 hours. British Airways also run direct flights to BKK. It's a long trip, so be sure to find something interesting to do. 4. Cheapest time to travel will be low - season. Which runs from March to October, and you can fly for about £400 one-way. We all want to save money. Whether it be to buy something new, or to have a tiny nest - egg. Saving money is easy if you stick at it. The money you save will go far when travelling Asia. Let's have a look and see how you save money to travel. 1. Short haul flight - when buying your flight, don't buy the extras such as food and drink, these can be pricey. Make sure you are full before you fly. And don't pay extra for a selected seat of your choice. I found out by not selecting a seat, the passenger will almost always get the fire escape seat. Lots of leg room. When possible book your seat directly with the airline, its a much safer way to book your travel. 2. Use the hotel mini-bar but restock it afterwards. Correct timing and they'll never know. Only do this if you are a really tight person. But usually the hotel mini - bar is quite pricey. So you what you think is best. 3. You can book a bed in a dormitory they are low cost and in some cities the dormitory has a twin room - during off-peak, you will probably get a twin room for yourself, but only pay dormitory prices. So it's a win-win. During high season dormitories can be full of young travelers getting drunk every evening, just be careful. And the other bonus is that you can meet other like-minded people from other countries. 4. Hey smokers you buy your cigarettes at the airport - tax free! I have to mention this as its something that I enjoy. If your travelling inside Europe and heading to the U.K, you will have to pay tax. But if you are coming back from the far-east, no problem. 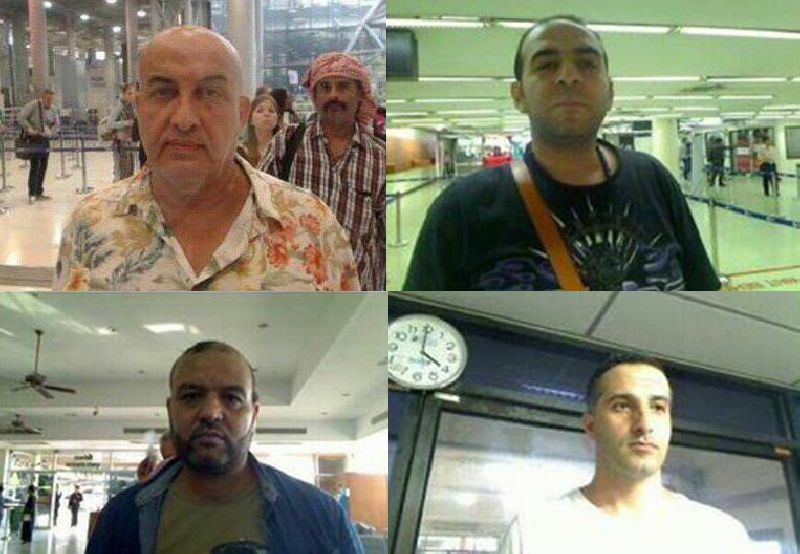 They usually check your passport, and there is a limit to how many you can buy. 5. Don't over stay your visa - overstaying has hefty fines in store for you. Some countries don't mind, you can just enter and exit. But be careful as rules always change, for example now in Thailand - the Thai Visa rules state that you can overstay, but you will be blacklisted. Wow so I found out another way I can save money on my travels. If only I could figure out a way not to pay these contracts, well I did with a little help from a friend. Contact your provider's and see if they can put your account on hold whilst your away. I telephoned Vodafone, and all they said I had to do was go into one of their branches, and provide evidence i'll be going away and they can do this. By putting my accounts on hold, i'm able to save £45 a month for Thailand. Thanks phone companies. Life savers!